I am delighted to take part in The Next Big Thing: authors’ blog hop. I was tagged by the wonderful crime fiction author, Sulari Gentill, who in turn was tagged by Angela Savage and P.M. Newton, and I am thrilled to participate. So here are my answers to the questions every author taking part will answer, although it is a little hard for me as I have only just started work on my next thriller. So, as I work through my various drafts, the plot and characters may develop to the point that you may not recognise much of what I am about to tell you in the final version. Jaye Ford, whose current thriller, Scared Yet?, was released in Australia and New Zealand on March 2012. Jaye’s first book, Beyond Fear, will be translated into six languages and won two 2012 Davitt Awards. Honey Brown is the author Red Queen, The Good Daughter and After the Darkness. The latter was selected for the Women’s Weekly Great Read and for Get Reading 2012’s 50 Books You Can’t Put Down campaign. Follow this link to her site. Helene Young is a pilot and romantic suspense author, and her latest book, Burning Lies, was launched in 2012. It’s too early to give that away as I have only just started working on my next thriller. But it’s short and punchy and should send tingles down your spine. My fast-paced thrillers always have big global themes. I write about topics that fascinate me and I often delve into the world of science for my themes – The Genesis Flaw was about a scenario in which genetic engineering has gone horribly wrong, and Thirst is about the destruction of a vast Antarctic ice sheet and the ensuing global disaster. My new thriller is based around some ground-breaking research being done right now in Antarctica. I have imagined the worst case scenario and turned it into an end-of-the-world potential catastrophe story that will take readers to many countries, including one of the most dangerous in the world. This is action-packed, high stakes, political thriller. The central character is British East-Ender and The Post’s investigative reporter, Tracey Pollack, who returns after her Pulitzer-winning exposé of the world’s largest biotech company in The Genesis Flaw. I see this petite and spikey-haired blonde played by Emma Watson, who is sporting a “pixie” haircut these days and as an actress can convey that courageous grittiness that is Tracey Pollack. I’m reluctant to talk about who might play the villain of the story simply because this person’s identity is kept from the reader during the early part of the story. But I will say that I hope the reader will find this character both deplorable and sympathetic! I will, however, happily reveal who has inspired the heroine’s ally, Max Mane, who in my novel is a discredited anthropologist. In 2007 I read an interview with Australian ecologist Max Thischler and this Max has inspired my Max character. He will be everything that Tracey isn’t, and vice versa. He will also be the only person who can help Tracey stop a global catastrophe but he will refuse to help her. Why? All will be revealed when the book is published. 5) Will your book be self-published or represented by an agency? 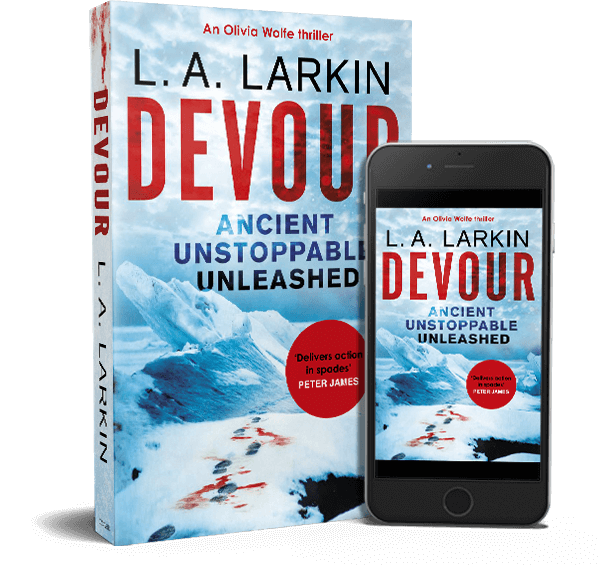 So far I have been published the traditional way, through an agent and a publisher, and plan to continue with this but I am also a big fan of ebooks so want to ensure that my next thriller is available worldwide as an ebook, as well as paperback. 6) How long did it take you to write the first draft? I have only just started, but I suspect that it will take me a year, given the amount of research I will need to do. I have a reputation for going to extremes to ensure the authenticity of my stories: for Thirst I went to Antarctica, leaned about crevasse rescue, polar survival and life on station. In my next book, the springboard is Antarctica, but Tracey Pollack will be travelling to some politically sensitive countries, so who knows where my research might take me. 7) What other books would you compare this story to within your genre? So far, it has a Michael Crichton, meets Tess Gerritsen, meets Michael Robotham, feel about it! 8) Who or what inspired you to write this book? I monitor with great interest all research expeditions in Antarctica and one struck me as particularly hazardous and the great premise for a thriller. This is a story of betrayal, revenge and terrorism, involving powerful nations, and the potential annihilation of humanity. The adversary is, I hope, both sympathetic and horrifying. The heroine is isolated, facing terrible odds and in grave danger, and the only person who can help her has given up on humanity. All that remains is for me to say Happy Christmas! and I look forward to catching up with you in the new year.